Acupuncture is an ancient Chinese medicine practice that involves stimulating certain points along mapped meridians which are energy pathways in the body. Our bodies work best at a certain frequency in which these pathways follow. Daily stress, trauma, and illness can alter that frequency. Acupuncture is effective by decreasing any disruptions along these pathways and allowing the body to function optimally. Acupuncture focuses on prevention and control of disease but can also be used for pain, addiction, arthritis, allergies and so much more which is why it is gaining popularity in the alternative health fields. Our bodies, with the right environment, are capable of maintaining absolute health. Chiropractic and acupuncture work so well together to balance the body’s energy and nervous system in order to restore natural healing and regulation. You might be asking yourself, “what would cause disruption in these pathways”? The answer is broad and diverse. From hormone imbalances to poor diet/sleep and subluxations ( spinal misalignments) it is hard to say the exact cause. The great thing about acupuncture is that you don’t need to know the exact cause because these points and meridians are consistent and will allow your body’s energy to flow better when stimulated. 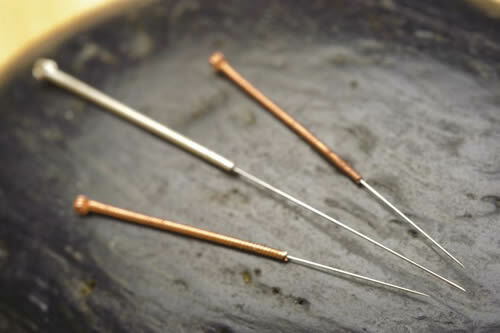 Both techniques stimulate the same point but acupuncture uses thin hairlike needles which sends stronger stimulation compared to acupressure which is deep pressure over a certain acupoint. Many times for younger kids battling with digestion issues or allergies acupressure will be used instead. Acupuncture is a cumulative treatment, meaning that each session builds on the next. So, one should start seeing results sometime within the first 10 seasons. Of course this could vary with more chronic or severe cases. For more information or to schedule an appointment at our Baldwin City location call 785-594-4894 today! To schedule an appointment in Lawrence call 785-832-8700. Our mission: To help as many people as we can in our lifetime, especially children. Subscribe to our newsletter for updates. We respect your privacy.